When Lear Corp. announced in August that it had chosen Flint to build an automotive seat manufacturing plant on the former Buick City site, it only seemed fitting to choose a longtime Flint company to be its construction firm: The E&L Construction Group, Inc.
E&L Construction – founded in 1953 as Erickson & Lindstrom Construction Co. – was on Lippincott Boulevard for 62 years, making it one of the oldest construction firms in Flint. A few years ago, owners Greg and Mark Krueger decided that they needed more space to accommodate the growing company. So, E&L moved its headquarters in 2015 but remained within the city of Flint. The move was needed, as E&L grew from 50 employees in the recession years to its current employment of 175 people. Instead of heading to the suburbs, they chose to renovate a building next to Bishop Airport. “We wanted to stay in the city of Flint,” said Greg Krueger, company president. E&L is recognized for many local construction projects it has completed over the years. Examples include building the Genesee Valley Mall in the early 1970s and its periodic renovations and additions. It also renovated the interior at The Whiting and recently completed construction on the intermediate pump station for the Karegnondi Water Authority to bring water from Lake Huron to Genesee County. While E&L has been known for its work on General Motors, Ford and Chrysler plants for many years, it recently has gained recognition for its work in diverse sectors, including Tier I automotive, retail, higher education, K-12 schools, churches, offices, and many other businesses. 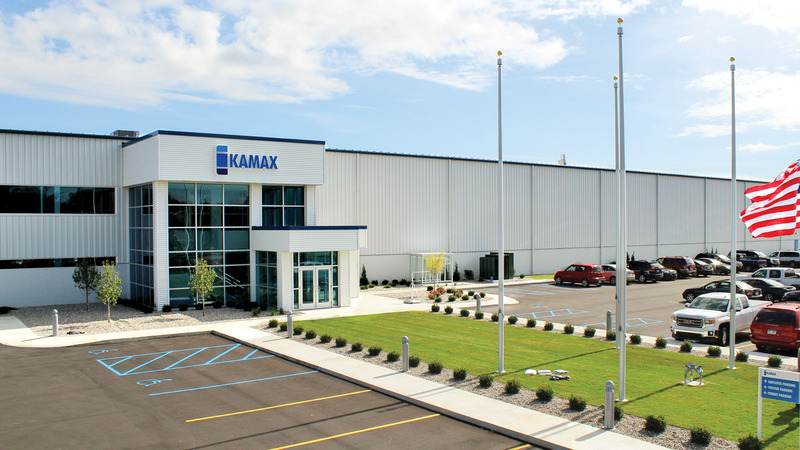 For example, Kamax LP selected E&L when it decided to add 140,000-square-feet to its Lapeer facility, where it manufactures high-strength fasteners for the automotive industry. The project was completed this fall, and Kamax has retained E&L for future projects. E&L continues to focus on the city of Flint. Its efforts helped the company earn the contract for the first new manufacturing facility in the city in nearly two decades. Lear on selected E&L to build its new 156,000-square-foot factory on a portion of the former Buick City site. “This community needs companies like Lear to locate here,” said Fick. “For E&L to get Lear allows us to use local subcontractors as much as possible. We’re trying to keep the people working within the city and surrounding areas.